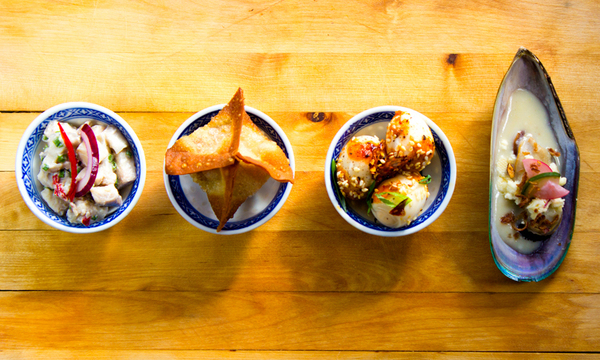 A selection of unique Asian small dishes to serve tapas style or with cocktails or wine for a relaxed alternative to a traditional 3 course dinner. 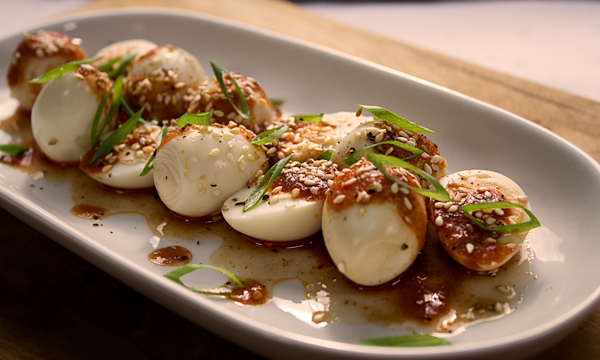 Quail egg salad - quail eggs and black olives marinated in a Thai style spicy, sweet, sour, tangy marinade. Topped with toasted sesame seeds, sesame oil and slivers of spring onions. 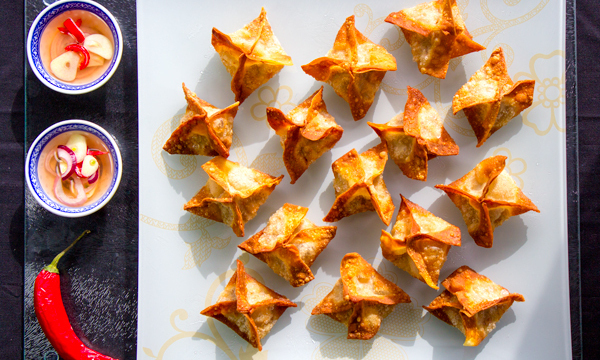 Pinsec Frito - crispy parcels filled with minced pork, water chestnuts, mushrooms and fine minced vegetables. Served with a chile-vinegar dipping sauce. 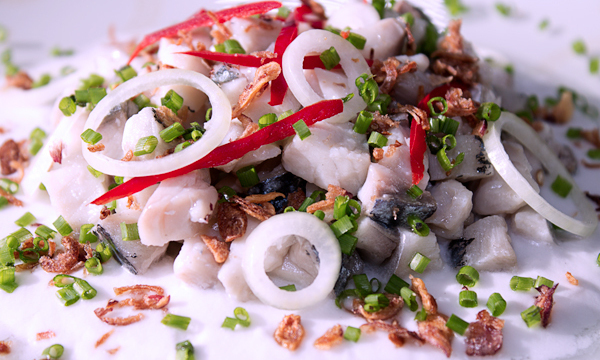 Kilawin Mackerel - mackerel ceviche served with a lime-coconut milk dressing. Dressed with chilis and fine chopped shallots. Baked Mussels - mussels steamed in white wine and aromatics. 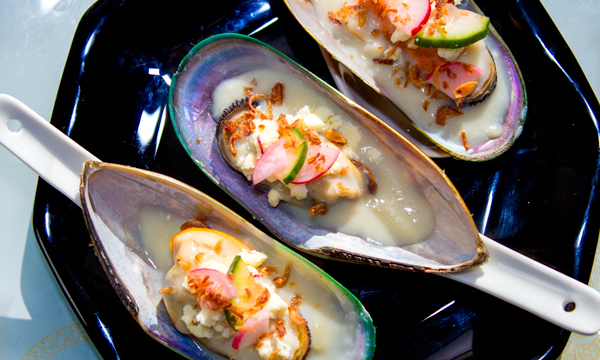 Served on the shell with compound butter, crumbled Winchester cheese, pickled radish and cucumber.